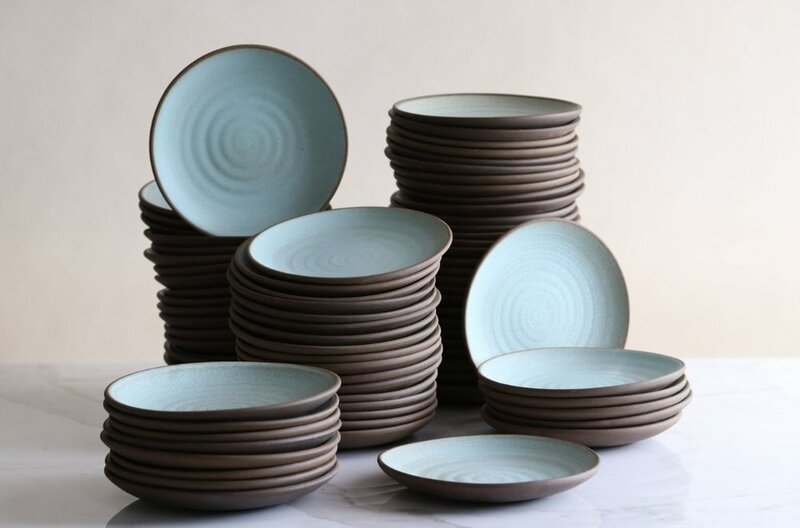 Jono Pandolfi ceramics are durable, beautiful, and timeless—that’s why they’re trusted by the most respected chefs in the industry. We offer discounted pricing and additional products to the hospitality industry. If you’re opening a new restaurant, whether in 2 weeks or a year from now, don’t hesitate to reach out. Want something special, fast? We’re now offering overstock and discontinued shapes to the hospitality industry directly on our website. Everything in our overstock section is ready to ship and minimum orders range from 12 to 20 pieces per shape.